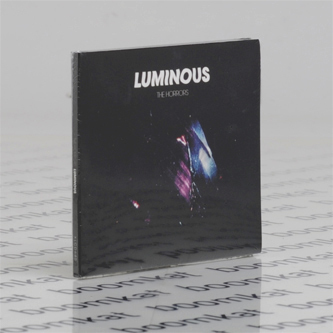 ‘Luminous’ follows the success of the silver-selling ‘Skying’. Tasking themselves as ever with moving onwards, The Horrors were determined to make an album that was brighter, more positive, more electronic. “We’ve refined our sound,” affirms lead singer Faris Badwan, “and in terms of songwriting it is the record I'm happiest with.” Or, in the words of bass player Rhys Webb, “it’s not so much about heavier guitars as a heavier potency… We want to make music you can dance to, music that elevates…” Luminous by name, luminous by nature - this is an album radiating light and energy. These songs are The Horrors writing at their instinctive, intuitive and accessible best. By way of explaining the intense but unhurried writing and recording of the album, the frontman says that, “If you're happy with one record I think you always have those fears that you'll somehow never be able to write a good song again. But I think between us we would never allow something that we weren’t happy with to be released. I can imagine it taking us 10 years to finish something - but I’d rather that than be a band who regress with each release.” Shedding some light on the intra-band, in-studio creative process, keyboard player Tom Furse mentions a an ever-evolving playlist featuring “so much, the usual - Beatles, Sabbath, Kraftwerk also Eno, J Dilla, Metroplex / Trax Records… but as always psychedelic music from all over the world, soul, funk, dub.” Further input came from producer Paul Epworth (Adele, Paul McCartney, Foster The People) on the track ‘Falling Star’. There was also a crucial role for a new piece of kit. Badwan reveals that Richard Russell, boss of their label XL, “had the pyramid synth from our ‘Changing The Rain’ video built for us.” The Horrors are Faris Badwan (vocals), Joshua Third (guitarist), Tom Furse (keyboards, synthesisers), Rhys Webb (bass) and Joe Spurgeon (drums, percussion). "